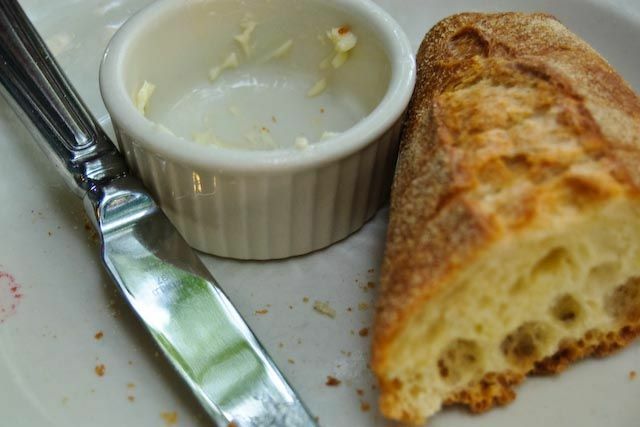 Le Pichet is a taste of France in Seattle's Belltown. With waitresses that look as though they could be straight from the streets of Paris, a menu that is authentic French bistro cuisine, and a wine list that is a French as French gets, Le Pichet could almost make you believe you are dining right on the Champs Ellysees. The Le Pichet menu changes many times throughout the year, reflecting the ingredients that are seasonal and fresh. But beware, if French food is not your thing, Le Pichet may not be the restaurant for you. Ordering the Chacuterie Plate in other restaurants would bring a selection of deli meats, but at Le Pichet it also brings tongue, liver pate, and a selection of meats made in-house that have a distinctly adventurous taste, as well as regular deli meats. 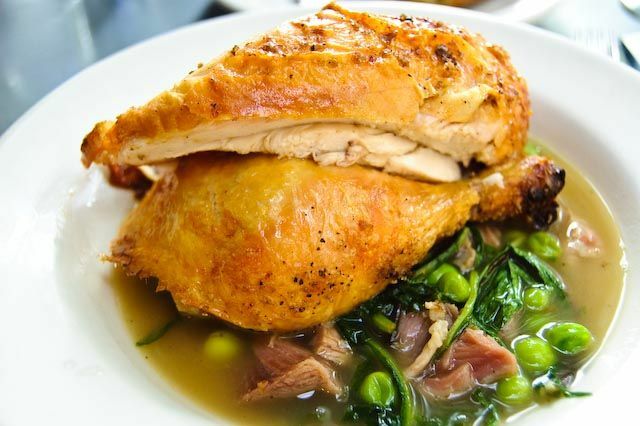 One of the standout dishes on the Le Pichet menu is the roast chicken ($34 for two). But, simply calling it roast chicken does not do it justice. This dish must be ordered for two, as the chicken is roasted specifically for you, and takes around an hour to prepare. So, order a bottle of wine, the meat or cheese plate, and sit back and relax. When it comes, the meat is tender, the skin is tasty and delicious, and the sides are outstanding. This time around it was served with a ham broth, pieces of ham, and peas. At first this reviewer was skeptical of the combination, but it was an absolute flavour sensation. The peas were sweet and fresh, practically bursting in your mouth. The ham broth was salty and delicious, and dipping each piece of chicken in it before eating was a delight. Paired with a French Rose (for only $25) this meal was nothing to be sniffed at. If street noise and traffic is not your thing, an inside table is a must. But, if you like the fresh air and a bit of street ambiance, then sit outside under the trees, watch the passersby and take in the atmosphere of the other diners, and the pub patrons next door. For a romantic date, Le Pichet is perfect, and in winter, sitting at a table in the authentically French interior is wonderful. Le Pichet is at 1933 1st Avenue. Phone 206 256 1499 for reservations. Stumptown Coffee Roasters are brewing up a storm at their Seattle and Portland locations.